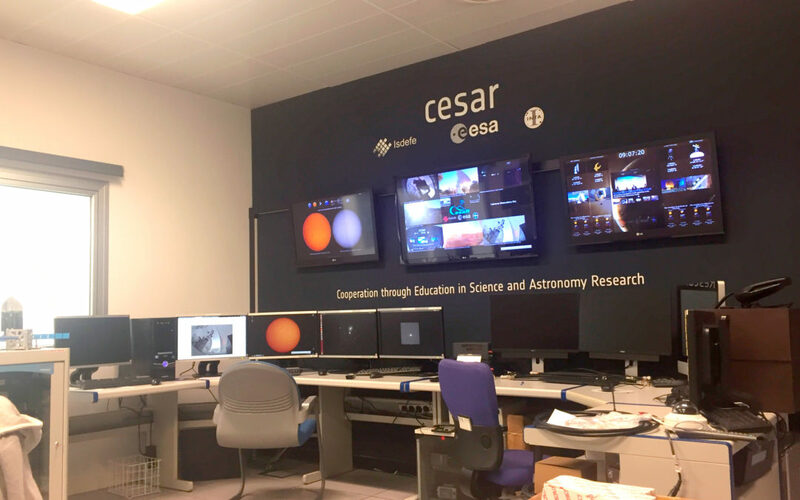 As part of the ESAC-ESA (European Space Astronomy Centre of the European Space Agency) educational project CESAR (Cooperation through Education in Science and Astronomy Research) we have been developing Science Case Web-Tools to complement the educational products of the project. This new software is specifically designed both to ease the task of solving the Science Cases and to make them more fun and attractive to students. CESAR is an educational initiative whose main objective is to engage students with the wonders of astronomy and, more generally, science and technology. Multiple experiences are offered within the project, for example, the Interactive Science Cases are stand-alone exercises that schools all over Europe may do in their classrooms. This exercises provide students with hands-on experience in real astronomy measurements or studies. Our job is to design Web-Tools to manipulate the data needed in those exercises and ease the task of measurement, as well as to check their results. By doing so, at the same time we help the teacher, who does not have to check the results one by one, and we help the student, that has no need to use complex confusing programs for just a few simple measurements. This far we have successfully developed three web-tools for sun-related Science Cases: One to measure the Sun rotation period, a second one to measure the differential rotation speed at different latitudes (both of them based on sunspots tracking), and a third one to measure the Venus-Sun distance (using data from a Venus transit through the Sun). Also, each web-tool is adapted to different ages with four difficulty levels. All of them offer measurement techniques adapted to students and still provide scientifically correct results. Moreover the apps are designed with a user-friendly interface, they are kind of an easy game with different steps and some funny displays, so students enjoy doing the Science Cases and associate science and astronomy to an amusing experience. And that is what we want in future astronomers and engineers!